Planets revolve around the Sun in nearly circular orbits. It was only after careful observations, we came to know that the orbits were not exactly circular. The orbits of the planets are elliptical in shape. 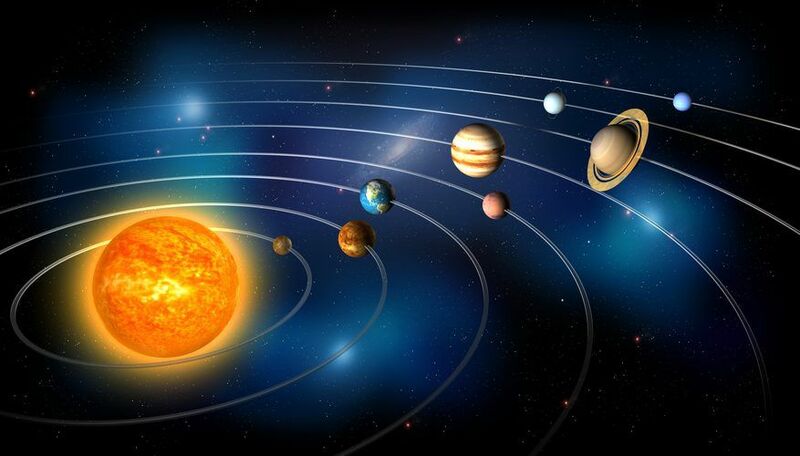 The path-breaking work of German astronomer and mathematician Johannes Kepler has been of paramount interest in the discovery of elliptical orbits of the planets revolving around the Sun. Johannes Kepler, born in a poor German family, was influenced by Copernicus’ work. Kepler even worked ahead and refined the ‘Heliocentric Theory’ of Copernicus. Not only this but Kepler’s ‘Three Laws of Planetary Motion,’ put forth in the early 16th century, have been the foundation stone for the ‘Theory of Universal Gravitation’ as proposed by Sir Isaac Newton. Johannes Kepler’s three laws of planetary motion are described as follows. Kepler’s first law of planetary motion states that the paths of the planets, which revolve around the Sun, is elliptical in shape. The Sun is located at the centre and acts as the focus. The first law is also referred to as ‘The Law of Ellipses.’ It describes that the paths of the planets revolving around the sun is an ellipse. Aphelion is the point on the orbit of the planet farthest away from the Sun; perihelion is the point on the orbit nearest to the Sun. The second law of planetary motion states that a line drawn from the centre of the Sun to the centre of the planet will sweep out equal areas in equal intervals of time. It is, sometimes, also referred to as the ‘Law of Equal Areas.’ It explains the speed with which a planet moves while orbiting around the Sun. The planets do not move at a constant speed. When the planets are closest to the Sun, their speed is more as compared to their speed when the planets are farthest away from the Sun. Hence, we can say that the area swept by the earth in 30 days is constant. Also known as the ‘Law of Harmonies’, Kepler’s third law of planetary motion states that the square of the orbital period (represented as T) of a planet is directly proportional to the cube of the average distance (or the semi-major axis of the orbit) (represented as R) of a planet from the Sun. Hence, it can be concluded that the T2/R3 is almost constant. The third law of planetary motion is the only law which deals with multiple planets.